“LOVE is stronger than hate“, about what is going on in our world. to help fund the organization’s programs including Stars of HOPE. The song is available on iTunes, Amazon and Spotify for $0.99. 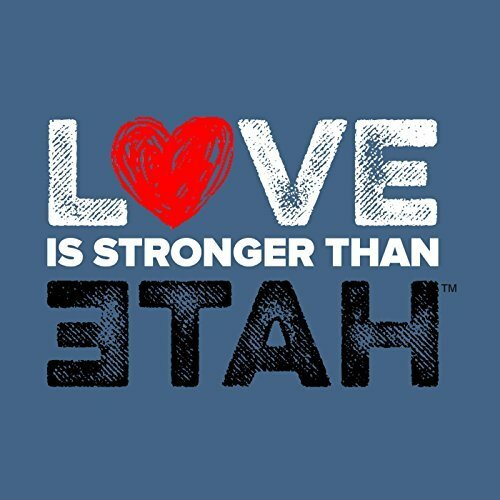 We believe that LOVE is stronger than hate. We believe that everyone must speak up and speak out to show that we will not tolerate hate, nor be silent when people are singled out because of how they choose to pray, where they came from, who they choose to love, or the color of their skin. Join us as we KNOCK OUT HATE. Join our #armyofhope by snapping a photo of yourself proudly wearing a t-shirt proclaiming your belief that #loveisstrongerthanhate. For the last 13 years we’ve seen the compassion and love shown by communities that have experienced disasters pay it forward to transform tragedy into hope. Over 600,000 people have participated in New York Says Thank You Foundation’s service initiatives in all 50 states and in 22 countries.